The Southwest Texas Fusion Center (SWTFC) was recognized by the State of Texas and the Department of Homeland Security (DHS) as a Level 2 Major Urban Area Fusion Center in November 2011. A Fusion Center is a collaborative effort of two or more agencies that provide resources, expertise, and information to the center with the goal of maximizing their ability to detect, prevent, investigate and respond to criminal and terrorist activity. The mission of the SWTFC is to serve as an all threat/all hazard center for information/intelligence sharing and public safety through a process of collaboration with other regional and national partners, which is balanced and guided by the need and responsibility to preserve the rights and privacy of the citizens we protect. 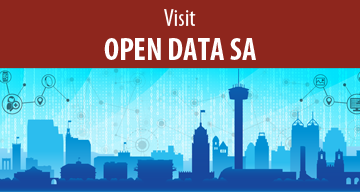 The SWTFC is managed by the San Antonio Police Department (SAPD) and operates under the guidance of an advisory board that includes representatives from public and private partners throughout the southwest Texas region. Tactical Intelligence Operations Center – The “front door” to the SWTFC, where personnel monitor active calls for service, provide real-time tactical intelligence to field officers; respond to requests for information from regional, state and national law enforcement and public safety partners; and collect and coordinate suspicious activity and threat information from throughout the southwest Texas region. 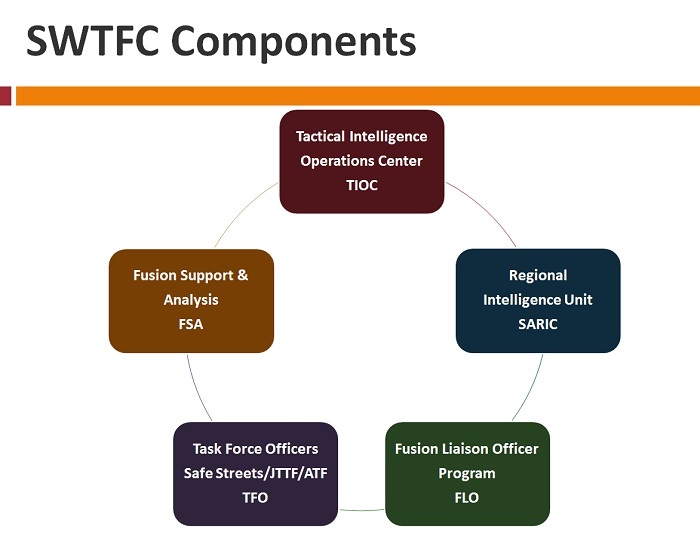 Fusion Support and Analysis – Provides analytic support to SWTFC personnel and regional partners regarding crime trends; suspicious activity reporting; local, regional and transnational criminal enterprises; and other emerging threats. 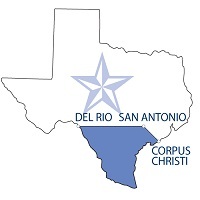 Regional Intelligence Unit – Staffed by investigators and officers supporting SAPD special investigations and multi-jurisdiction/multi-agency investigations. Task Force Officers – Includes investigators assigned to FBI Safe Streets, FBI Joint Terrorism Task Force and Alcohol, Tobacco and Firearms.